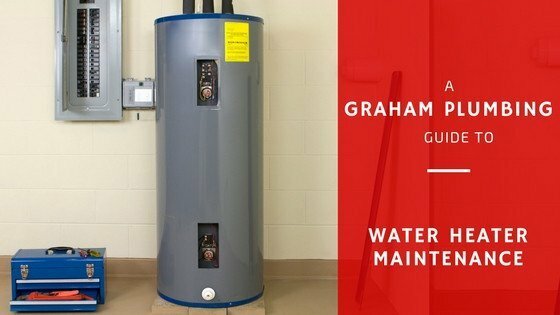 Extend the life of your water heater and keep it running efficiently with this easy maintenance routine. Hot showers, clean clothes, and clean dishes–we use our water heaters every day, but never think about them until problems arise and we’re left without hot water. By performing just a few simple DIY maintenance steps every six months, you can ensure your water heater is running efficiently and even extend its 15-year expected lifetime. Before you start, it’s important to note that tankless water heaters have high-tech components that should be maintained by a trained plumbing expert. For classic storage tank water heaters though, basic maintenance can be performed by a handy homeowner. Check the Outside of the Unit:Perform a visual inspection–ensuring the unit has 2 feet of clearance around the appliance and checking for any obvious issues such as cracks, rust on the outside of the tank or pipes, drips or puddles around the unit. If you see any of these issues, contact a plumbing professional who can help determine whether it’s an issue that can be repaired or if the unit needs to be replaced. Drain Harmful Sediment:Remove harmful sediment by partially draining the tank annually. Turn off the cold water supply and hook up a garden hose to the drain valve. Then turn the cold water supply back on to stir up any sediment, and allow the water to drain down a floor drain, into a bucket, or outside away from the house until it runs clear. Once the water runs clean, turn the water supply off before disconnecting the hose. Finally, turn the cold water supply back on and allow the now sediment-free tank to refill. Examine and Replace the Anode Rod:The lifeline of your water heater–the anode rod is a piece of metal that extends into the tank and attracts all the corrosive and damaging elements in the water that would otherwise cause the tank to rust. This process eventually causes the anode rod itself to rust away, and when it’s nearly consumed, the corrosive elements will start damaging your tank instead. Check the rod periodically and replace it as needed to extend the life of your water heater. Bonus Tip for Staying Green & Saving Green:Lower your water heater’s thermostat to 120 degrees and save 5% on your monthly energy costs. While the cost of replacing and installing a new water heater can vary widely by region, everyone will agree that the possibility of extending your water heater’s lifespan up to an additional 15-years is worth a few minutes of maintenance every few months.